As Publishers Marketplace is reporting (subscription required), we've developed, and sold, two Jezebel-branded titles to Grand Central Publishing (the company behind very popular and funny books by such authors as The Daily Show staff, Amy Sedaris and Michael Moore). The first, a spin-off of the site's provocative advice feature "Pot Psychology", will be authored by Jezebel senior writer Tracie Egan Morrissey and contributor Rich Juzwiak and delve into pressing non-issues such as "how to be stoned in public" and "how to be covert when scratching your crotch". (The feature itself will return to the site on a biweekly basis after the holidays.) The Pot Psychology Twitter feed is here. 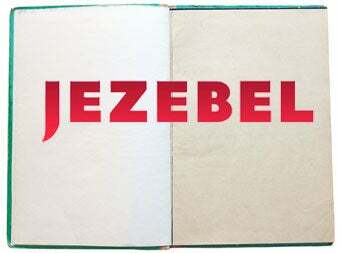 The second title, tentatively titled The Book of Jezebel, will be overseen by yours truly and will explore the mindset and ethos of the modern "Jezebel" using essays, illustrations and other contributions from a whole host of formidable women, some of whom work for this very site. It will also be a reader-friendly affair: We'll be workshopping the project with you throughout the writing and production process, and want to highlight the best and brightest Jezebel readers within the book. You can learn more by following the book's brand-new Twitter account and a dedicated website to be launched soon after the New Year. Our thanks to Nick Denton, Gaby Darbyshire, Daniel Greenberg and Emily Griffin for helping to make this happen.